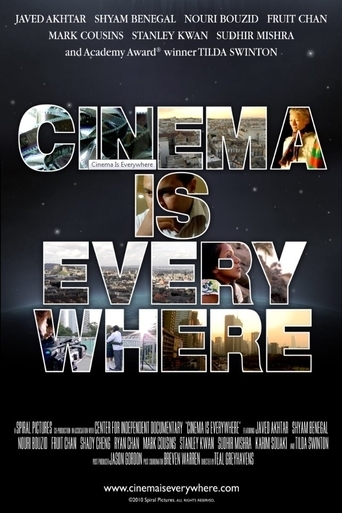 Cinema is Everywhere is a 2011 documentary film by writer, director and cinematographer Teal Greyhavens that weaves together three stories from India, Scotland and Tunisia, each featuring personal perspectives on the effects of local, regional and international cinema on people's lives. It is based around the idea that cinema is a universal visual language that people of almost any culture can enjoy and even create regardless of where they are, who they know or how much money they have. It has been called "the global story of cinema and how it affects our everyday lives." The documentary was filmed by Greyhavens in 2009 while he traveled on a Thomas J. Watson Fellowship.